I have been involved in Real Estate my entire life! As a child in Wilmington, NC I would tour my father’s high end water front homes during all phases of construction, as he was a developer since I can first remember. Since then, I have truly developed a love for Real Estate in every aspect, and am excited every opportunity I get to work a new and unique deal – I believe all properties have an awesome value when matched with the correct person. I received my MBA in Business with a Minor in Real Estate Finance in 2016, and since then have had the opportunity to work with some very exciting companies! I worked for a year with a National Franchise company helping new clients purchase commercial buildings and then upfitting the buildings to open for business. After, I had the privilege of working with a local developer acquiring raw land, and re-build opportunities, while connecting with local brokers to uncover deals that fit our unique model. Most recently, I worked with a large private company and assisted in over 30 deals a year acquiring real estate in virtually every state across the country. 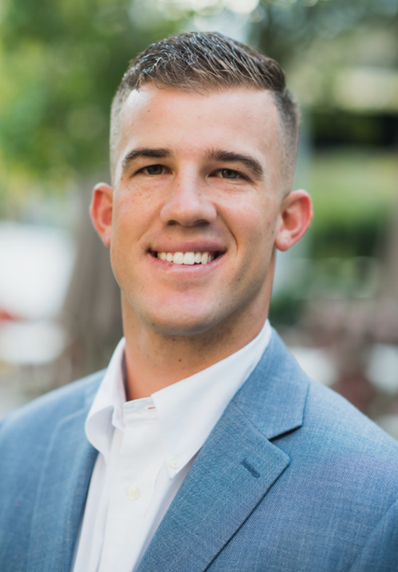 I have learned a lot from working with countless customers, and helping every one of them to find the perfect property and have even help with construction in many of my past deals. As a Realtor, I am invested in the happiness/satisfaction of my clients first and foremost! I approach each deal with great interest, and listen to my clients wants and needs to achieve the best outcome for their unique situation. My clients can count on me any time of day when they have a question or concern, I am always available. In my free time, I enjoy the gym, my wonderful family, and the beautiful ocean. I have recently started to travel more and look forward to travelling more in the future, and I am open to destination suggestions!